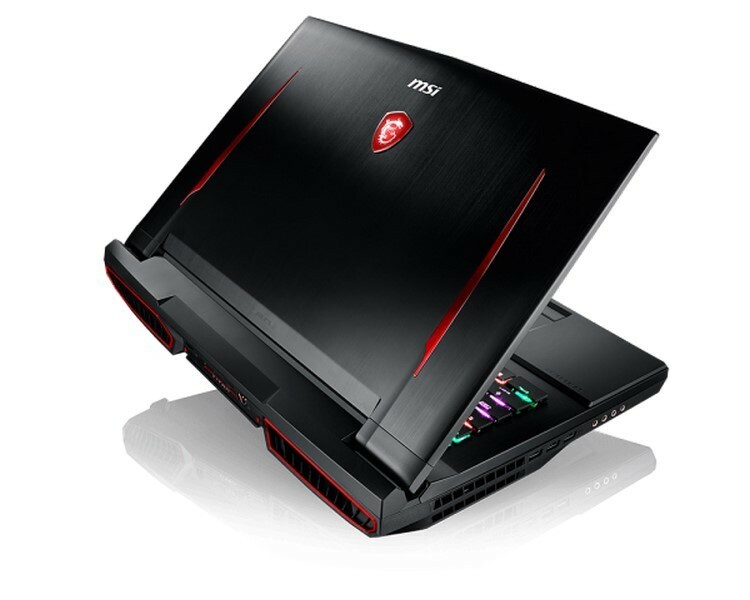 Among MSI’s elite lineup of GAMING laptops on display, the elegant GS65 Stealth Thin is too perfect to ignore with its thin bezel display, high-end CPU, GPU and loads of game optimizing features. With its unrivaled, top-end specs, the GT75 Titan gives players total dominance in games. The dazzling GE73 Raider RGB is the proud COMPUTEX Best Choice Category Award winner that glows from the inside out. More highlights include the multiple award winner Optix MPG27 Series gaming monitor, gaming desktops, GeForce GTX 10 series gaming graphics cards, gaming motherboards, gaming peripherals, blockchain solutions, server solutions, etc. To top it off, all COMPUTEX award-winning products will be on display in the COMPUTEX TAIPEI Award Zone. Don’t miss your chance to see our Best Choice Award winners and d&i Award winner! 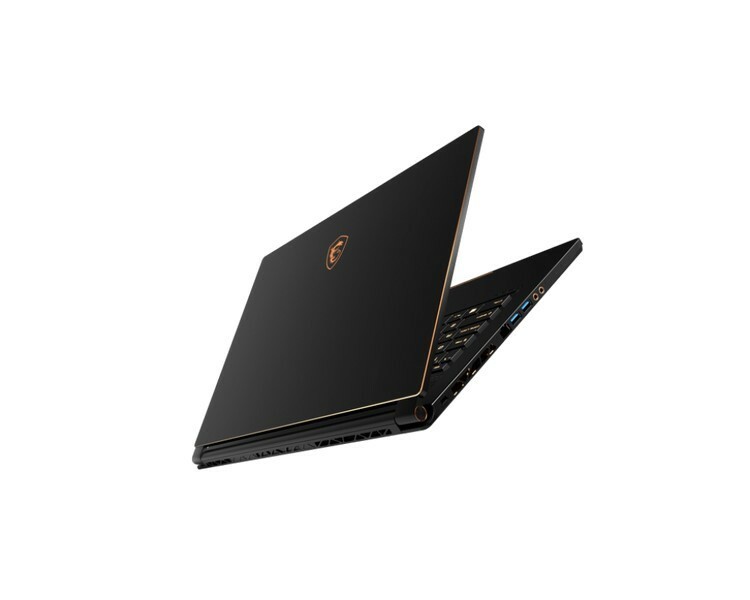 Well equipped and incredibly powerful, the GT75 Titan 8RG is the first gaming laptop to ever feature Intel® Core™ i9 processors with fully unlocked hexa-core performance. With the MSI exclusive Cooler Boost Titan cooling design, the fully unlocked 6-core 12-thread configuration releases its full potential with extreme overclock performance. Together with GeForce® GTX 1080 graphics, the GT75 Titan 8RG once again exceeds the laptop performance boundaries. The Rapid Mechanical SteelSeries keyboard with Per-Key RGB backlight customization offers optimum tactile feedback and is built for fast and responsive action. In addition to the Aquantia 10Gb Ethernet, this laptopp also features an upgraded wireless connection to the latest Killer Wireless-AC 1550. With up to double the speed of the standard 802.11ac Wi-Fi, gamers can enjoy smooth and lag-free gaming experience with or without plugging into Ethernet. Inspired by exotic sports cars, the new GE73 Raider RGB comes with an astounding RGB LED backlight lid and Per-Key RGB gaming keyboard, offering gamers the finest control over the fanciest illumination ever. 8th Gen Intel® Core™ i7 processor, GeForce® GTX 1070/1060 GPU and a 120Hz 3ms display ensure the fastest, smoothest gaming experiences. The latest MSI Cooler Boost 5 excels as a dual thermal modules, adopting dual Whirlwind Blade fans with 7 heat pipes and well-endowed 4 airflows to intensively and efficiently driving exhaust heat out of the system. Combined with game enhancing features, such as Killer DoubleShot Pro gaming network, Giant Speaker, Nahimic 3, Hi-Res Audio, Dragon Center 2.0 and True Color 2.0, the GE73 Raider RGB is an all-powerful performer that makes gamers outshine all the rest. Adorned with outstanding golden diamond-cutting design, the GS65 Stealth Thin maximizes the gaming vision with 4.9mm ultra-thin bezel and an 82% screen-to-body ratio while delivering clear and vibrant visuals with its 144Hz, 7ms IPS-level display. As elegant as it is unprecedented, the ultra-slim GS65 Stealth Thin fuses 8+ hours of battery life with remarkable performance powered by the latest 8th Gen Intel® Core™ i7 processor, GeForce® GTX 1070 GPU, DDR4-2400 memory, superb MSI Cooler Boost Trinity cooling design and world-class Dynaudio sound system. 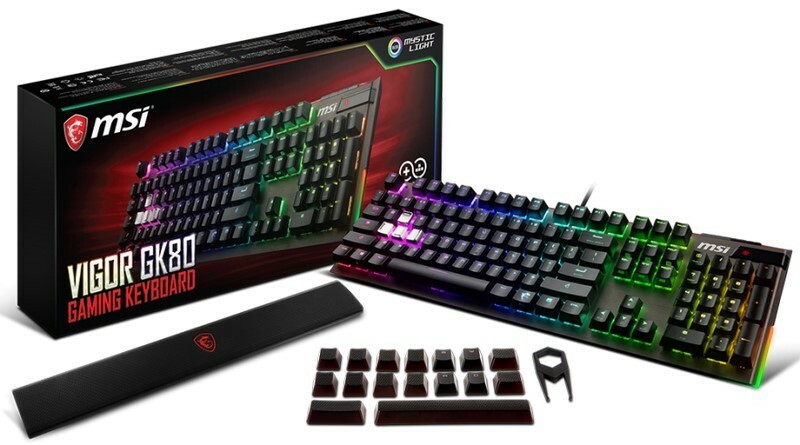 It is also crafted with gamers’ most coveted features, including Killer DoubleShot Pro lag-free gaming network, Per-Key RGB keyboard by SteelSeries, the upgraded Dragon Center 2.0 and more. 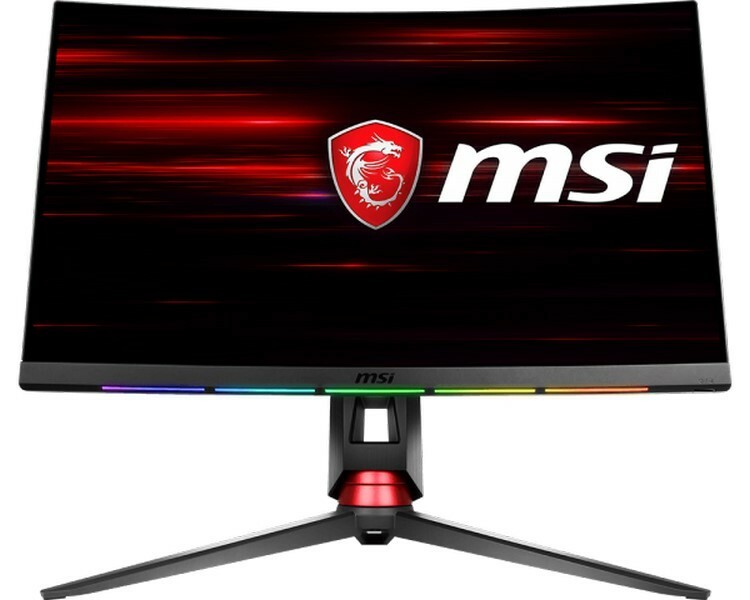 The pioneer of Professional PCs, MSI introduces the brand new 23.8” PRO 24X Series All-in-One PC that features an incredible 6.5mm ultra-slim design, a 2.2mm super-slim bezel, an elegant metallic slim stand and stylish brushed metal patterning on the rear cover. With IPS Grade Panel that instantly optimizes the screen colors and brightness, the PRO 24X ensures that users enjoy every visual at its best. An ideal business partner for all kinds of tasks at work, the PRO 24X comes with the MSI Easy Maintenance Design for effortless upgrade, Dual LAN Design for Internet/Intranet dual network environments, optional Intel® Optane™ technology for system acceleration, and optional NVMe PCIe M.2 SSD for blazing fast system bootup. A stylish performer, the MSI B360 GAMING PRO CARBON features a unique, powerful extended heatsink designed around concept car with carbon elements and offers unlimited customization options with MSI Mystic Light. 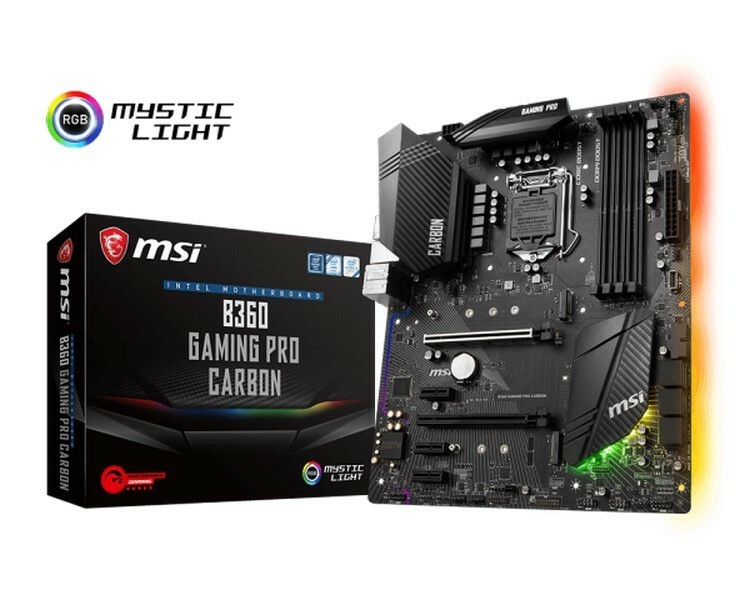 Given Mystic Light’s 16.8 million colors and 17 LED effects, users can personalize the B360 motherboard to any color scheme and even synchronize colors and effects with supported RGB components and peripherals. Twin Turbo M.2 offers gamers a blazing fast system bootup and insanely quick loading of applications and games. In addition, Intel® Turbo USB 3.1 Gen2 offers unprecedented USB speeds for uninterrupted connection and more stability. The MSI B360 GAMING PRO CARBON is perfectly tailored to give gamers unparalleled performance and style. To satisfy the most demanding content creators and professionals on content production, MSI SLI PLUS series is the best choice to provide top performance with professional editing experience. 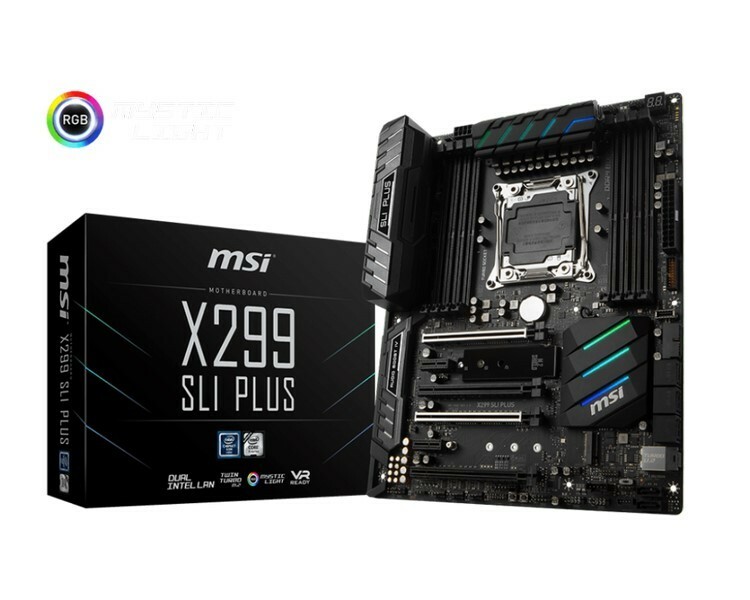 MSI X299 SLI PLUS motherboard is designed for extreme performance with DIGITALL POWER design to support up to 18-core processors and high loaded operation. Dual Intel LAN provides stable internet and intranet connection with bandwidth management offering the lowerest latency. DDR4 Boost can give the best pure memory signals between the CPU and RAM for editing video and design content. Lightning fast experience with 2x TURBO M.2, M.2 Shield, Intel Optane Technology and Lightning USB 3.1 Gen2 also offers content creators the best file transfer speeds. Furthermore, other MSI accessories help to build a perfect content creation workstation, such as MSI M.2 XPANDER-AERO to support up to 4x M.2 devices for storage expansion and ThunderboltM3 for better transfer speeds. MSI blockchain solutions and motherboards are ready for customers to meet the blockchain rig! In the past few years, from bitcon to Ethereum, the digital currency blew up all over the world. On the underside, the era of blockchain 3.0 has come with rapid movement and will reach to blockchain 4.0, followed by artificial intelligence and deep learning. 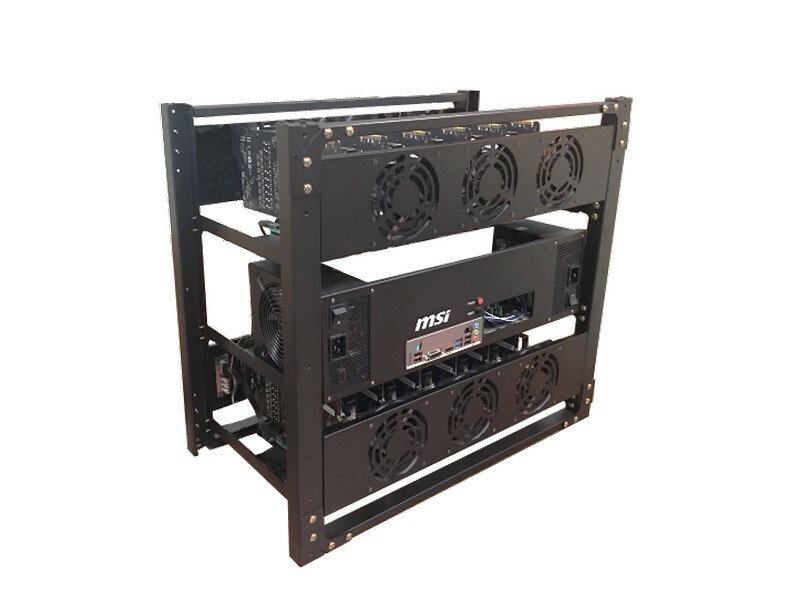 MSI blockchain F-12 is a complete solution, equipped with MSI H310-F PRO motherboard and 12X graphics cards for more complicated opertation. With 2x 1200W Gold power supply and optimal thermal design to ensure 24/7 operation performance. 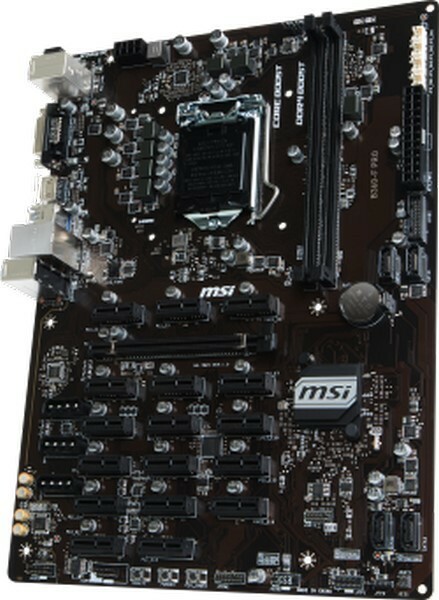 MSI blockchain motherboards B360-F PRO and H310-F PRO support up to 17x graphic cards and 13x graphics cards respectively, With MSI exlusive features including up to 5 power supply, independent slot power and high quality capacitors, diskless boot, customized BIOS, mining guard and mining management, MSI blockchain motherboards give the easiest and the most conveninent solution for your blockchain rig. 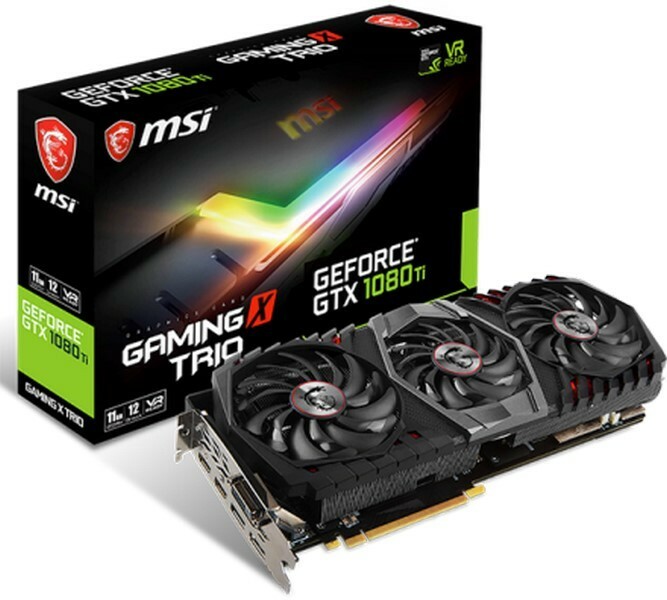 Built to be perfect, MSI GeForce® GTX 1080 Ti GAMING X TRIO graphics card features top-notch GeForce® GTX 1080 Ti GPU, TRI-FROZR Thermal Design and customizable RGB Mystic Light. MSI’s exclusive TRI-FROZR Thermal Design integrates three sets of the award-winning TORX 2.0 Fans with Double Ball Bearings to enable supremely silent gameplay. 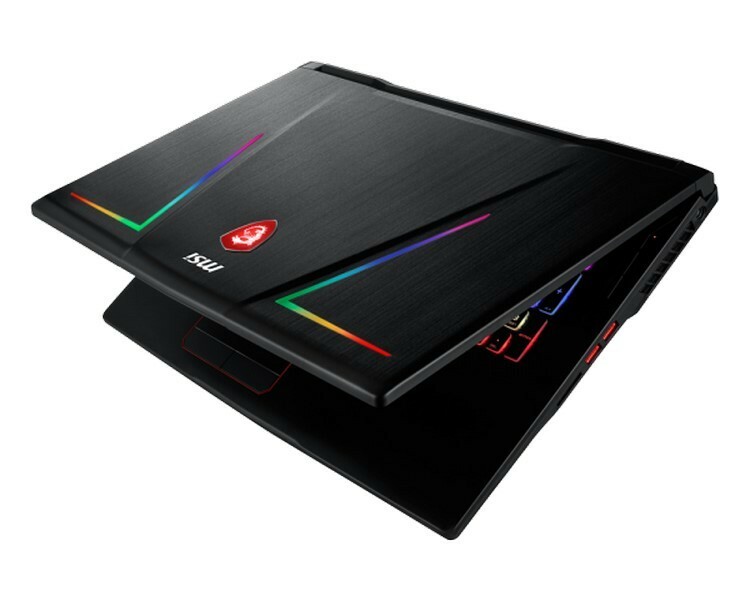 MSI Mystic Light is next-gen RGB lighting that allows users to customize colors and LED effects across different components for synchronized look & feel. 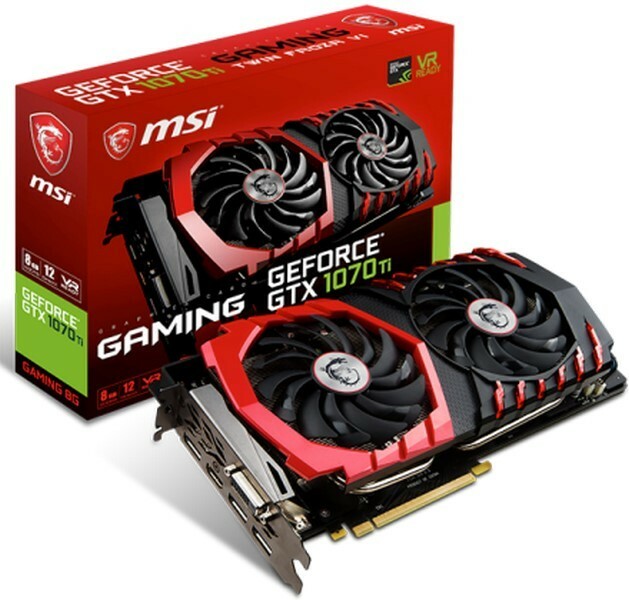 Building on the monumental success of MSI’s award winning GAMING series, GTX 1070 Ti GAMING 8G comes equipped with the full force of the TWIN FROZR VI cooler, allowing for higher core and memory clock speeds for increased performance in games. The famous shapes of the eye-catching TWIN FROZR cooler are intensified by a fiery GAMING glow piercing through the cover, while the MSI GAMING dragon RGB LED on the side can be set to millions of colors to match your mood or build. A completely new custom 10-phase PCB design using Military Class Level components with 6-pin and 8-pin power connectors enables higher performance to push your graphics card to the max. Built on a tough and durable aluminum frame, the Vigor GK80 provides everything you would expect from a high-end mechanical gaming keyboard with Cherry MX Switches, RGB Mystic Light and hotkeys for just about everything. It’s the extras that make this keyboard stand out from the crowd, like the additional keycaps that can be cleverly stored into the underside of the comfortable wrist rest. Equipped with dedicated media keys, the Vigor GK80 provides a faster and easier way to access volume control for gamers’ favorite tunes while gaming. The pass-through USB port on the back of keyboard is perfect for connecting other peripherals like mouse or headset. Using MSI’s exclusive Mystic Light software, gamers can customize their keyboards’ appearance by choosing from millions of colors and multiple effects. Mystic Light Sync allows gamers to easily synchronize colors and effects with other RGB components and peripherals for a stunning full system display. 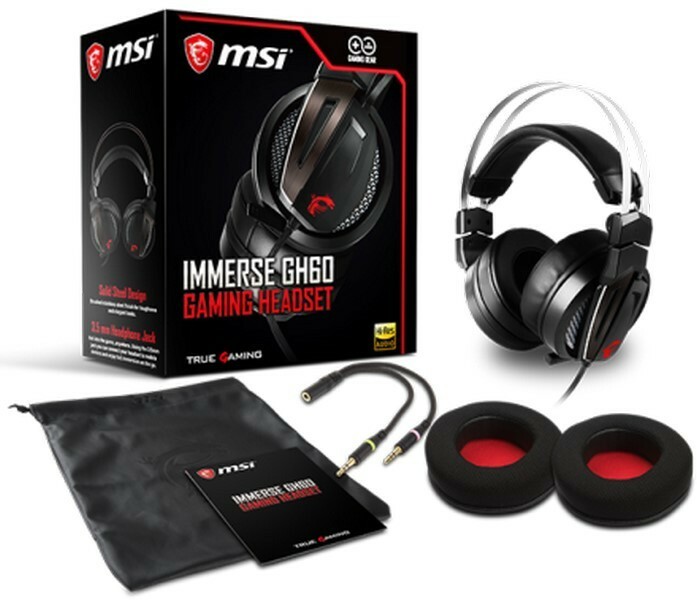 Using 50mm Neodymium driver units with Hi-Res certification, the Immerse GH60 provides highly detailed and crystal clear sound, whether you’re trying to hear the enemy’s slightest movements or just looking to enjoy your favorite music in all its glory. With ergonomic design, GH60’s flexible headband and soft ear pads ensure a comfortable fit that distributes the weight of the headset evenly, while still fully enclosing the ears to isolate distracting noises.